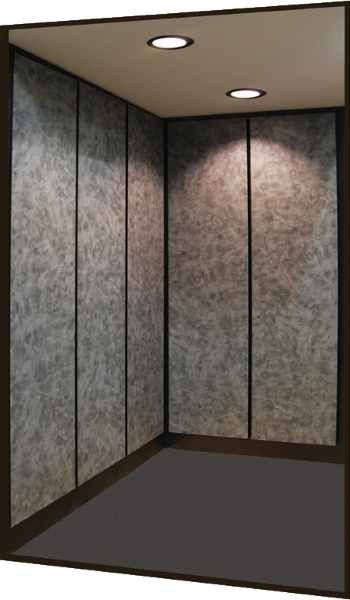 Exclusively offered by Canton Elevator, hang-on laminated panels with black reveals offer a more contemporary flair. The unique hang-on panel system provides the homeowner with the ability to easily change the interior of the cab during home renovations. Optional reveal finishes available upon request. Download the Canton Laminate Chart (PDF) or visit WilsonArt.com for more options.